You must make the decision of which card in your hand to play. 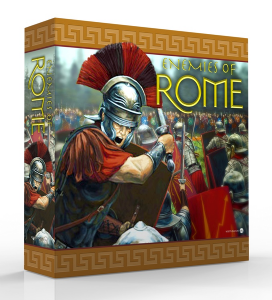 As you play conquer new areas to gain glory as a leader of Rome's legions. Use that glory to gain influence for political intrigue points to spend to convert enemies of Rome to allies of Rome, recruit new legions, build catapults and siege armies or fortify areas.